Refined IT provides hosted emails (exchange) which revolutionizes the collaboration inside businesses. Expect dramatic improvements overall productivity. Did you just search for 'Microsoft Office 365 Perth"? Office 365 is a subscription based software and services package developed and sold by Microsoft. The package combines your traditional office programs such as Outlook, Word, Excel and Powerpoint with the added extra's of a hosted email account (Hosted Exchange) and Sharepoint, an online document and business process management system. The hosted email (Hosted Exchange) email solution allows all businesses of all sizes access to an enterprise grade email collaboration system. Normally small businesses would be left out, unable to purchase the large, expensive and powerful servers needed to run the sophisticated email server software. If you have a small business of 1 or 2 people the improvements in collaboration and productivity can revolutionize the way you do business. Forget POP and IMAP email systems. Hosted Emails provides a suite of features including Calendars, Folders, Contacts and Tasks. Furthermore, you have the ability to share all the above listed aspects to other work colleges or clients.The client software Microsoft Outlook is available for desktop, browser and mobile access so you’re always connected whether you’re in the office, traveling or working at home. Since you always connect back to the same Hosted Emails Server, your inbox stays synchronized no matter which Outlook client you’re using across all devices. The combination of Hosted Emails provided using two applications, Microsoft Exchange and Microsoft Outlook provides extended functionality for sorting, prioritizing, delegating and managing e-mail which allows you to take control of your inbox entirely. The Hosted Emails solution overall helps you and your employees to greatly improve their productivity and collaboration together. Get full access to all of your email folders, contacts, calendars, and files from any Microsoft Outlook or browser or mobile device, from anywhere, anytime! Any changes made to your emails, contacts, calendar and files are kept up to date when accessed via any other device. All of your devices communicate to ensure they stay synchronized. 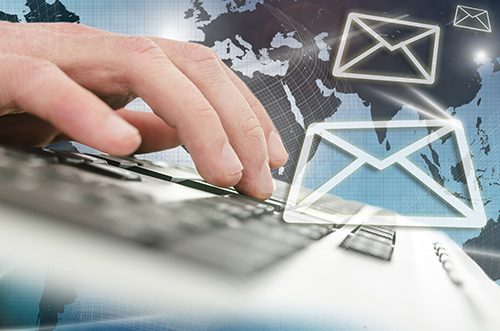 As email is the most common method of spreading viruses, we include scanning of all incoming and outgoing email. Hosted Emails allows you to share any of your email folders, files, contacts and calendar with any co-worker, project team, or within a department and in some cases even outside your business.